In chapter five we learn of the author’s experience of dining in the dark and how when it comes to eating it’s not only about the sense of taste. Rather, eating and what one tastes is highly linked to the other senses. In the author and his companions’ experience of dining in the dark, they all realize how much vision plays a part in what they taste. Moreover, how losing the ability to see heightens their other senses, such as smelling or tasting. 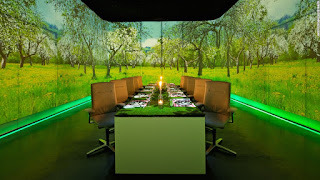 This dining experience reminds me of other sensory restaurants that offer similar yet unique eating experiences. 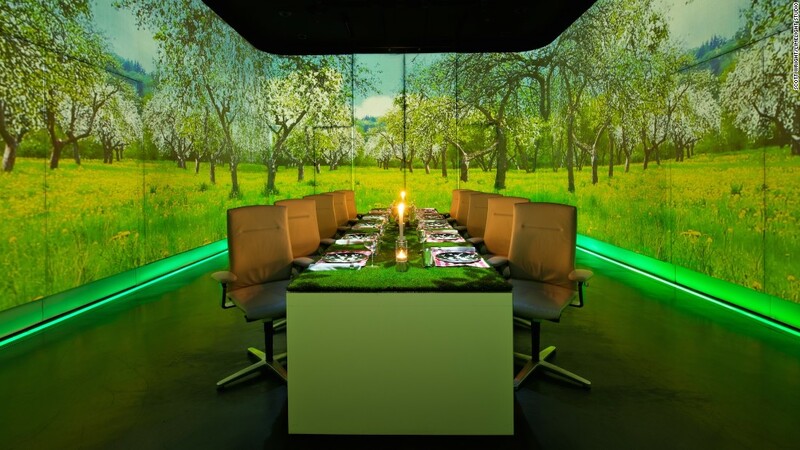 In the past five years, multisensory restaurants have become very popular. One such one is Ultraviolet in Shanghai, China. Ultraviolet uses sight, sound, and smell to enhance the food through a controlled environment. The dining room has no décor, paintings, or views. Instead has high-end technology such as dry scent projectors, stage and UV lighting, 360-degress wall projections, table projectors, scent diffusers, and a multichannel speaker system to enhance the atmosphere to provide context to the dish's taste. Hence making Ultraviolet, a single table restaurant seating only ten, renowned, exclusive, and one of a kind. It has become a Christmas tradition that every year my family plays this "game" where we blindfold someone (usually my sister) and feed her all kinds of foods whether they be leftovers or anything odd we can find in my Grandmother's cabinets. Her reactions are priceless and she'll start every tasting with a look of disgust as we barely get the food in her mouth, even if it is something we know she loves to eat. Your eyes truly do experience everything first and without them, you become uncomfortably vulnerable.